This 32 page newspaper has a two column photo of "Air Force Capt. Joseph Kittinger stands beside the open balloon gondola" with small caption: "Makes Record Leap". Other news, sports and advertisements of the day throughout. Very minor margin wear, otherwise in nice condition. wikipedia notes: Joseph William Kittinger II (born July 27, 1928) is a former Command Pilot and career military officer in the United States Air Force. He is most famous for his participation in Project Manhigh and Project Excelsior, holding the records for having the highest, fastest and longest skydive and as being the first man to make a solo crossing of the Atlantic Ocean in a gas balloon. Serving as a fighter pilot during the Vietnam War, he was shot down and spent 11 months in a North Vietnamese prison. The third and final test, Excelsior III, was made on August 16, 1960. 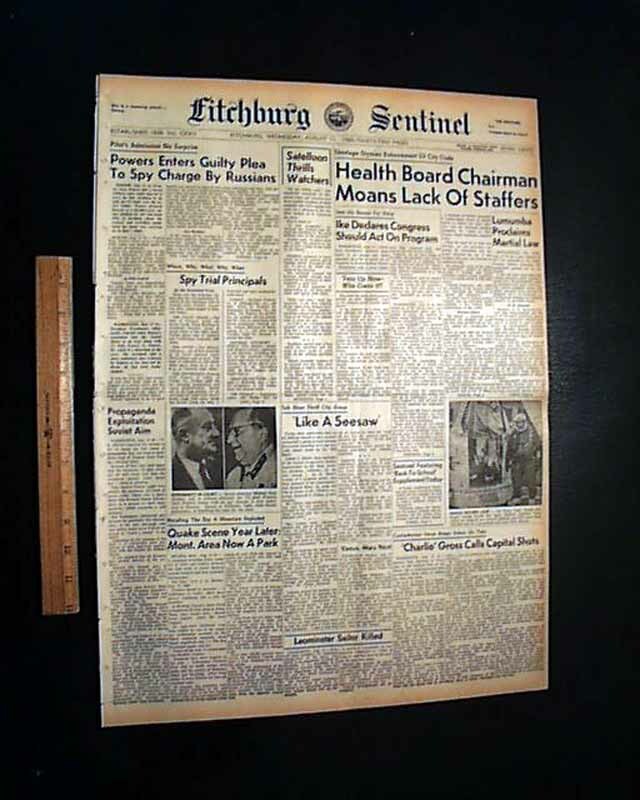 During the ascent, the pressure seal in Kittinger's right glove failed, and he began to experience severe pain in his right hand from the encroaching effects of frostbite. (See Effects of vacuum on humans.) He decided not to inform the ground crew about this, in case they should decide to abort the test. Despite temporarily losing the use of his right hand, he continued with the ascent, climbing to an altitude of 31,333 m (102,800 ft). The ascent took one hour and 31 minutes and broke the previous manned balloon altitude record of 30,942 m (101,516 ft), which was set by Major David Simons as part of Project Man High in 1957. 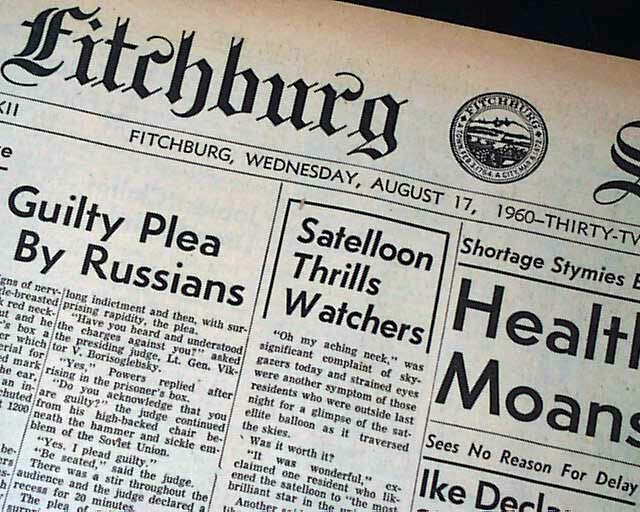 Kittinger stayed at peak altitude for 12 minutes, waiting for the balloon to drift over the landing target area. He then stepped out of the gondola to begin his descent. The small stabilizer parachute deployed successfully and Kittinger fell for 4 minutes and 36 seconds, setting a still-standing world record for the longest parachute free-fall (although some authorities do not count this as a free-fall record because of the use of the stabilizer parachute). 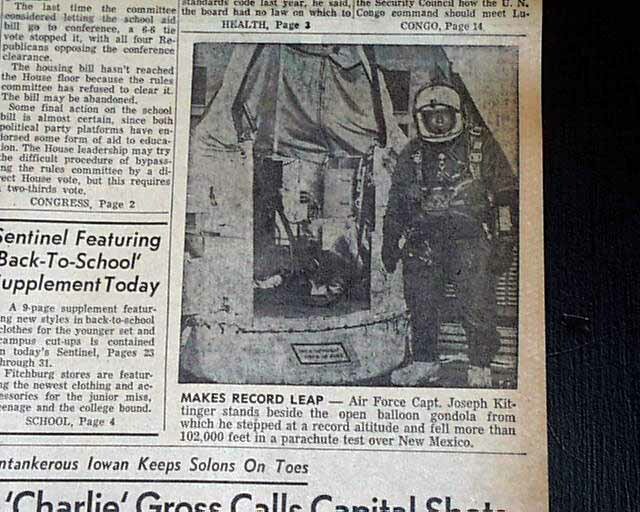 At an altitude of 5,330 m (17,500 ft), Kittinger opened his main parachute and landed safely in the New Mexico desert. The whole descent took 13 minutes and 45 seconds and set the current world record for the highest parachute jump. 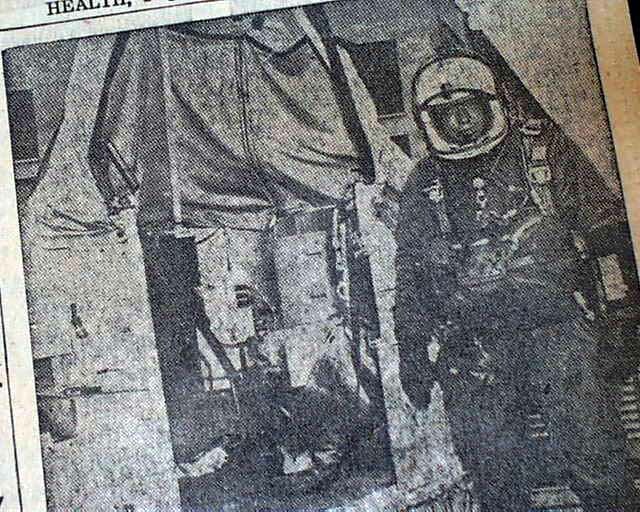 During the descent, Kittinger experienced temperatures as low as −94 °F (−70 °C). In the free-fall stage, he reached a top speed of 988 km/h (614 mph). An hour and thirty-one minutes after launch, my pressure altimeter halts at 103,300 feet. At ground control the radar altimeters also have stopped-on readings of 102,800 feet, the figure that we later agree upon as the more reliable. It is 7 o'clock in the morning, and I have reached float altitude ... Though my stabilization chute opens at 96,000 feet, I accelerate for 6,000 feet more before hitting a peak of 614 miles an hour, nine-tenths the speed of sound at my altitude. A plaque attached below the open door of the Excelsior III gondola read, "This is the highest step in the world".